forget about it and simply neglect it. A metal roof is practically maintenance free depending on the type purchased. 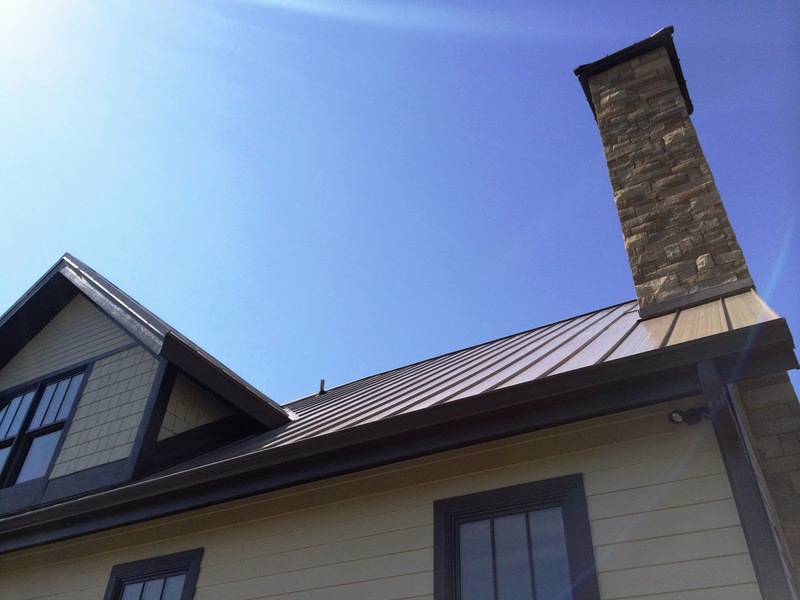 Standing seam versus stone coated metal roofing requires different amounts of maintenance. One of the main maintenance concern area quite frequently, especially during the early spring and fall months, is the buildup of leaves and tree debris. Initially leaves and other types of wind blown debris on a metal roof might seem harmless at first site, however leaves and debris can trap moisture which can lead to damaging the metal. More importantly, if this type of neglect goes on for any serious length of time it will effect the quality of your roof over time. We are not suggesting you need to blow your roof every time a few leaves sit on it, but you should make it a regular habit to do it a few times throughout the year depending on the amount of trees on your property or what part of the state you live in. Remember, if you do this type of maintenance and show regular care it will help to extend the life of your metal roof even longer! Don't have a metal roof and want to learn more call Residential Renovations at 419-691-3300 or visit our website for more information at www.ResidentialRenovations.com.